Netflix’s ’80s-inflected teaser for “Stranger Things” season 2 in Sunday’s Super Bowl captured the most social-media buzz out of the 65 brands that advertised on Fox during the game. Out of all Super Bowl LI advertisers, Netflix generated the most social actions with 554,000, followed by Budweiser (433,000) and Mr. Clean (413,000), according to ad-analytics company iSpot.tv. That’s a measure of social actions tracked for each ad spot on Facebook, Twitter, YouTube and iSpot.tv’s own platform. On Twitter, supernatural drama “Stranger Things” generated 307,000 tweets between 6:30 p.m. and 11 p.m ET on Sunday, according to marketing technology firm Amobee — more than three times the next closest advertiser. That was T-Mobile, whose spots included one featuring Justin Bieber, with 91,700 tweets during the Super Bowl telecast, which was followed by Mr. Clean (80,800), Airbnb (77,800), Coca-Cola (74,500) and Audi (73,100). “Stranger Things” led the social-media pack out of 65 different brands, which ran 104 spots in 49 ad breaks on Fox for just under 49.9 minutes of dedicated ad time, according to iSpot.tv, which measures activity from more than 10 million smart TVs and tracks responses to TV ads on social and digital platforms. Fox pulled in about $510 million in ad revenue from the Super Bowl telecast (including overtime but not post-game programming), iSpot estimated. On Facebook, the “Stranger Things” season 2 teaser has garnered 21 million views since it was posted Sunday night, while it has scored more than over 3.6 million on YouTube. Overall on YouTube, Budweiser’s “Born the Hard Way” commercial — the origin story of brewer’s German founders– has been the most-viewed Super Bowl spot so far, but note that the beer commercial was posted on Jan. 31 (five days before the broadcast). Among “Stranger Things” fans who commented on the trailer on Facebook, the top emotions expressed were “excited” (36%) and “love” (21%), driven by users who are looking forward to its Halloween 2017 premiere on Netflix, according to social-media emotion-analysis firm Canvs. Fans also expressed “crazy” (18%) about the teaser, as well as emotional language indicating how the wait is going to feel like an eternity, according to Canvs. 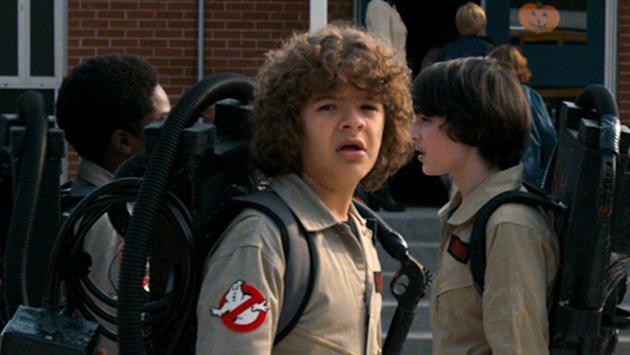 The Netflix spot featured “Stranger Things” characters Dustin (Gaten Matarazzo), Mike (Finn Wolfhard) and Lucas (Caleb McLaughlin) dressed in “Ghostbusters” costumes, a nod to the Halloween premiere date for season 2. Meanwhile, the “Stranger Things” ad was fairly low-rated on USA Today’s annual Ad Meter — coming in 49th out of 66 spots. On this year’s survey, 15,000-plus consumers scored how much they liked each Super Bowl spot on a scale of 1-10. The No. 1 ranked spot on the survey was Kia’s ”Hero’s Journey,” featuring Melissa McCarthy.